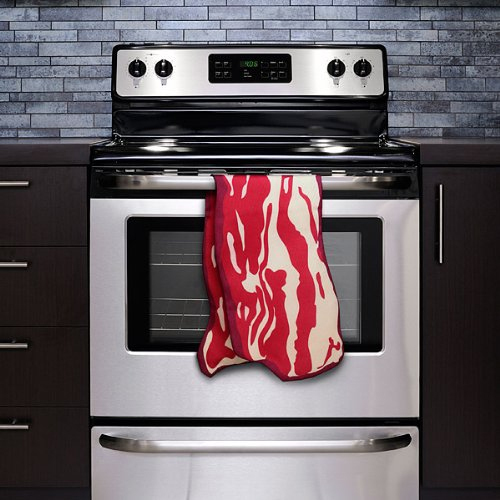 Say hello to the internet’s favorite food in dish towel form: The ThinkGeek Sizzling Bacon Kitchen Towel Dish Towel . When draped over your shoulder while frying up some bacon, you could not look more dashing. Of course, that requires keeping in mind which one is which. While having a real piece of bacon draped over your shoulder is certainly fashionable, trying to clean the kitchen with bacon probably won’t work. Then again, bacon is pretty magical.